The Aptos Village Square Shopping Center hosts a number of local Aptos businesses. 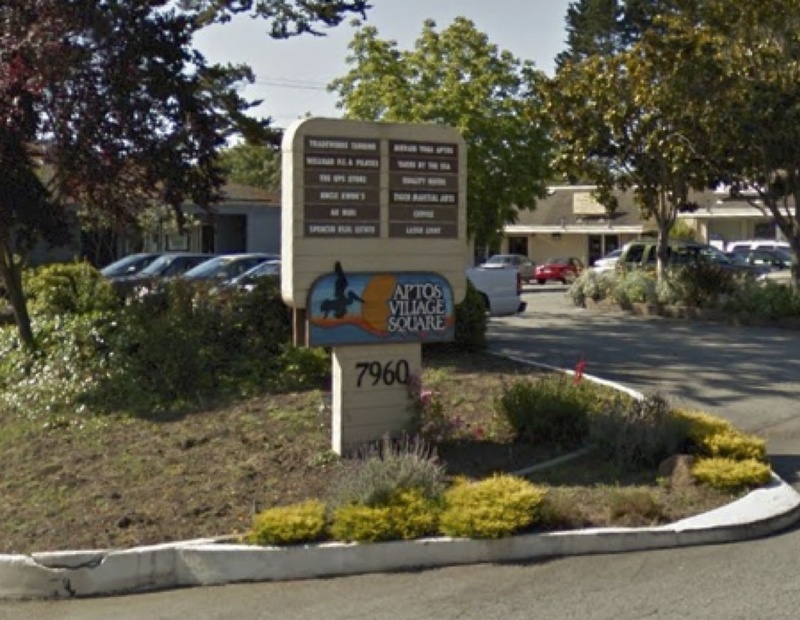 It’s located adjacent to (downhill from) the Rancho del Mar Shopping Center, just outside of Aptos Village. It is host to a number of Aptos favorites, including the outstanding Au Midi Restaurant and Bistro, Uncle Kwok’s, and Art Supplies Ink. It also contains our local Bikram yoga studio, as well as a Cross Fit.